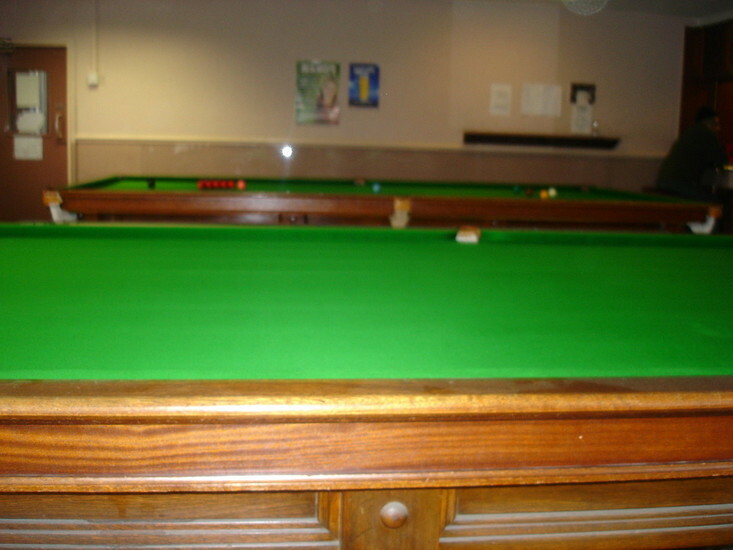 We provide a full range of services to both the snooker club and the individual. As well as our standard service agreements we also have a large workshop solely dedicated to re-storing tables back to an as-new condition. We are one of the largest UK suppliers of snooker and pool tables we also offer our equipment for rental, including full size matchplay quality tables for finals nights. Our match tables are available to hire for functions, for finals nights and exhibitions etc. Hire them for one night only or for longer periods to suit your needs. Club, pub and private table re-covering is an essential part of our business and we use only the best of materials. 'West of England' cloth, Hainsworth cloth and the finest moulded 'Northern' championship cushion rubber are used as standard. Most popular cloths we use in recovering are the 6811 Tournement and Club cloths from West of England, 'Smart' cloth from Hainsworth and for the serious or professional player we use No.10 cloth by West of England, the cloth used on the TV tables. 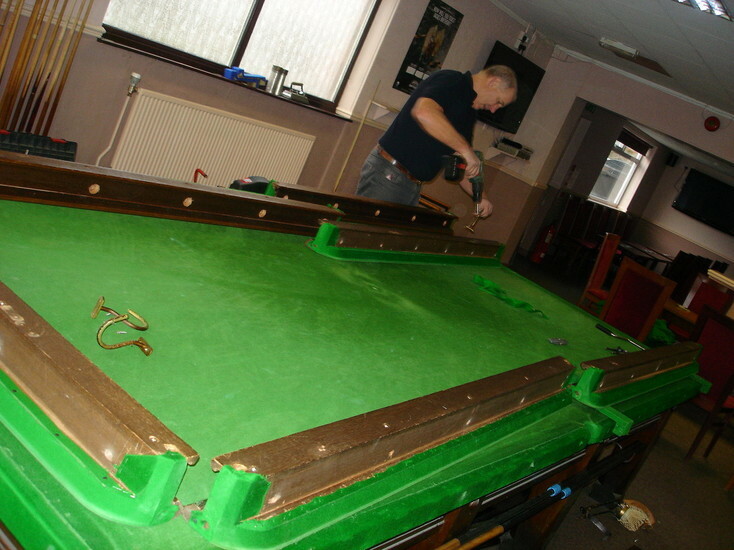 Snooker table restoration is a large part of our business, whether it be a normal re-cover at a club or a full strip down and re-polish. Tables can be brought back to life with our full re-furbishment package which would include re-polishing, re-covering, re-rubbering and new pocket assemblies. Repair contracts are always available, allowing your club or business the opportunity of spreading repair costs over 2 or 3 years. The table servicing contract in its basic form includes ironing of and re-marking the table. More comprehensive contracts are available and can be tailored to suit individual needs. All our repair services are available on a one off basis. 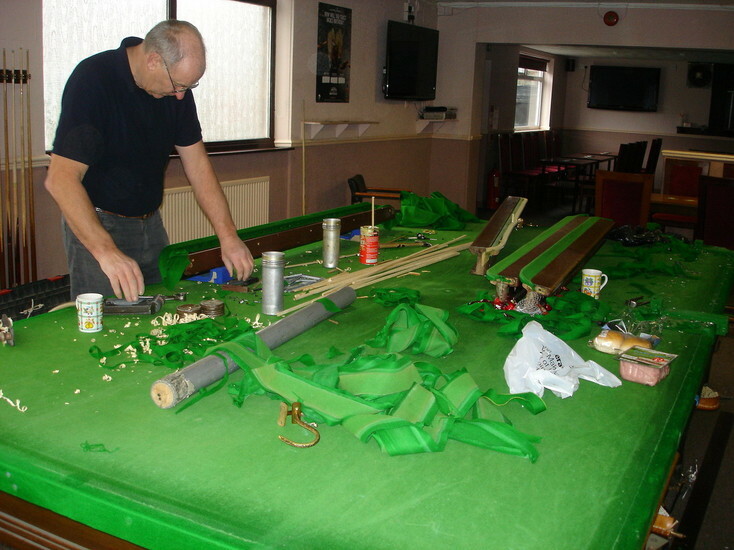 Rental terms are available to clubs, pubs, businesses, schools, etc on both snooker and pool tables. 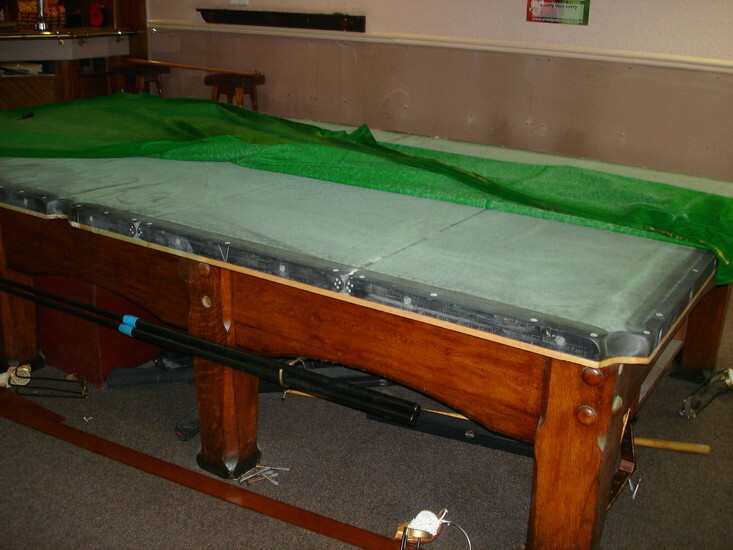 Pool tables can be supplied and be either coin operated or freeplay. All tables come complete with a full range of accessories. Rental charges are based on a monthly basis.